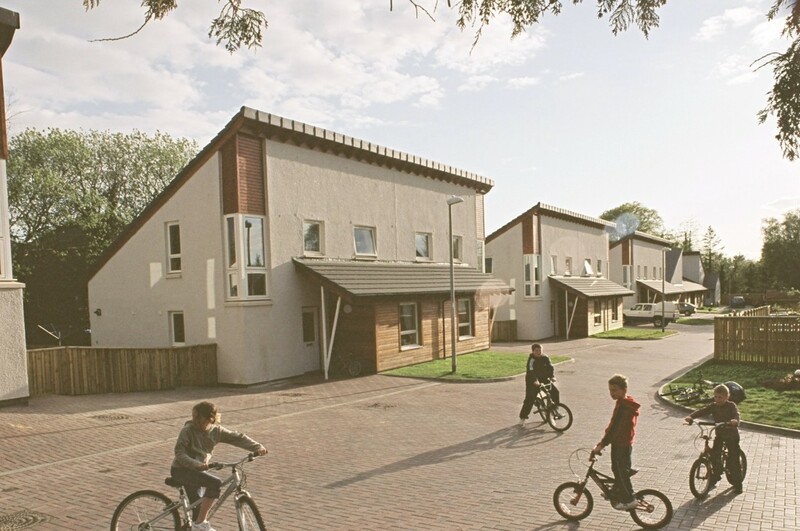 On Friday, 18 March 2005 new tenant Billy Neville opened this 22 house scheme for rent. A delighted Billy was presented with his keys by Jenny Thompson, acting Director of Social Work, Housing and Health at South Ayrshire Council. The £2 million development was supported by a £1.3 million grant from Communities Scotland. All the houses are designed on life time principles. Each house has at least one downstairs bedroom and the bathroom is also on the ground floor. Billy’s, for example, has an extra bedroom for his resident carer. Each house also has a south-facing sun-porch. Architect – Alastair Murdoch Partnership. Contractor – D McLaughlin & Sons.